It is an unexpected pleasure to be back in the Andaman Islands for the first time in almost two years. I have been researching aspects of the Islands’ history for almost 15 years, and in 2013 completed a research project with two colleagues based in Ahmedabad: historian of science Dr Madhumita Mazumdar and anthropologist Professor Vishvajit Pandya. Our work, forthcoming with Cambridge University Press as New Histories of the Andaman Islands: landscape, place and identity in the Bay of Bengal, seeks to understand the making of a society inhabited for many tens of thousands of years by Indigenous hunter-gatherer peoples (adivasis), colonized by the British as an Indian penal settlement, and then used as a place for the reception of various marginal peoples from the mainland: including so-called Criminal Tribes, Maplah rebels from what is now Kerala, and Partition refugees from West Bengal. We are interested in how people have made the Islands ‘home;’ how they understand and represent their history; and in the visual and material manifestations of the Andamans as a space of colonisation and repression and now ecotourism. The Andaman Islands were first colonized in the late eighteenth century, when the British East India Company sent a few hundred Indian convicts to establish basic infrastructure. The settlement was a disaster; and devastated by disease, the Company abandoned it after a few years. The British remained interested in the Islands, because they lay on trading routes between India and the east. The Andamanese were openly hostile to passing vessels, and to shipwrecked sailors and passengers, and so in the 1840s and 1850s the British decided that if they could not be pacified, they must be colonized. As they considered their options, the Great Uprising of 1857 erupted. Rebels broke open and destroyed two-dozen jails, and liberated thousands of prisoners. 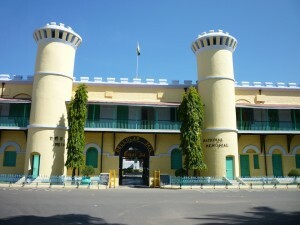 The Company’s existing penal settlements in Burma and the Straits Settlements refused to accept mutineers, rebels or recaptured prisoners, and with nowhere to confine them, the British settled on the Andamans as a new penal colony. The first shipment of convicts arrived in March 1858, and the Islands remained open to transportation right up to the Second World War. Famously, leading nationalists were incarcerated in the notorious Cellular Jail after it opened in 1906. In my research for New Histories, I carried out extensive research on the growth of the convict-descended population, and on how the descendants of convicts living in the Andamans today make sense of their history and identity. 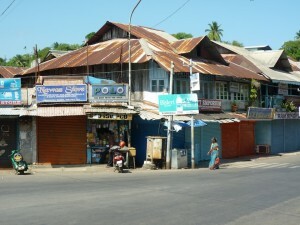 I blended research in colonial archives with ethnographic work, and became interested in how this community – known as ‘local born’ – represent the penal origins of their forebears, and in the lines of distinction that they draw around themselves and the settlers who came to the Islands after Indian Independence in 1947. Both, I found, reveal significant lines of fracture between the Islands and the ‘mainland,’ as islanders call the Indian subcontinent. These histories and identities were manifest in the archives, in my discussions with community members, and in the various state built sites of commemoration that are dotted in and around the capital of the Islands, Port Blair. In our project, my colleagues Madhumita Mazumdar and Vishvajit Pandya explored similar themes; including Madhumita for Bengali settlers and Vishvajit for some of the Indigenous inhabitants still living in the Islands. And it was with respect to the pressing issue of the latter, known as Particularly Vulnerable Tribal Groups (PVTGs), that I was invited as a rapporteur for the inaugural national conference of ANTRI, the Andaman and Nicobar Tribal Research Institute, which sits under the auspices of the Department of Tribal Welfare. Vishvajit Pandya is honorary director. Over two packed days, we heard papers from historians, sociologists, political scientists, anthropologists, activists, community leaders and civil servants. My role was to report to government on our discussions on the legacies of colonial history. ANTRI is working to advise it on the exceptionally sensitive issue of adivasi policy; on the merits or otherwise of both ‘mainstreaming’ and assimilation, or isolation and protection. Under the able direction of Professor Pandya, for the first time ANTRI is consulting the Islands’ adivasi peoples on their future, asking them how they see the years to come, in order to make robust and, crucially, research-based policy recommendations from its experience in the field. It is working particularly closely with the Jarawas, whose reserved territory borders settler villages, and where there is a particularly fraught history of violence between different communities. Several issues emerged from the compelling blend of historical and contemporary analysis that emerged through our discussions. I will make three points here. First, it is evident that colonialism has left legacies in the Islands that to a large extent underpin tribal policy in Independent India today. These include ideas about citizenship, about the paramouncy of textual over oral ‘knowledge,’ and more broadly about the definition of ‘modernity’. 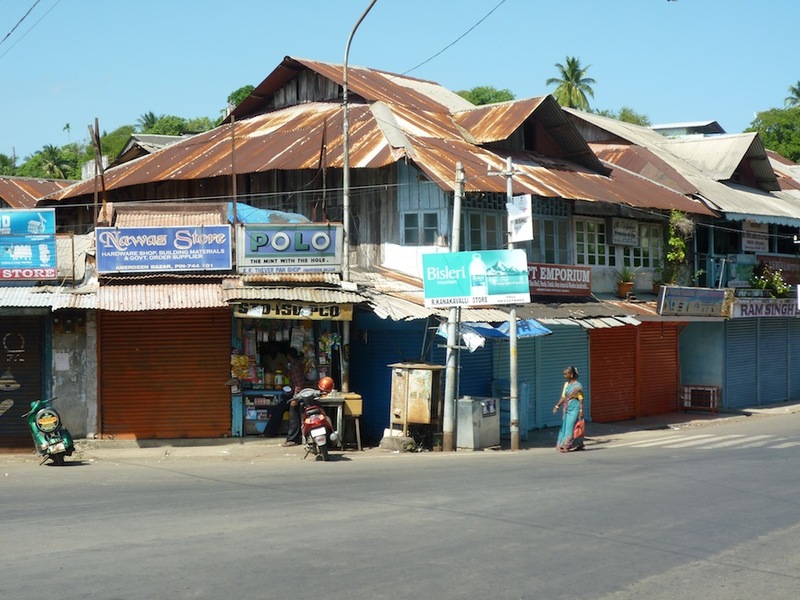 It is also entirely possible that with free immigration to the Andamans since 1947, and concurrent population growth and land encroachment, the situation for PVTGs has in fact worsened in the years since Independence. These are issues that are not peculiar to the Andamanese, but are evident in many other mainland adivasi and peasant communities. However – and this is my second point – each context is specific, and it is not necessarily desirable or practical to move policies and practices from one place to another. In relation to or perhaps despite this, there are important parallels to be drawn with the history of other contexts. These include perhaps most significantly settler colonialism in Australia – which was also home to Indigenous hunter-gatherer peoples and the site of penal settlements during the colonial era – but also the United States and Canada. In looking to adivasi futures in the Andamans, we might investigate how Aboriginal or First Nations rights have been navigated, and balanced against the rights of settlers, in these nations. Third, and returning to my earlier mention of ‘modernity,’ it would seem perfectly possible for multiple and seemingly competing versions of ‘modernity’ to co-exist at one time. Because of this, we must use the concept of ‘development’ with caution. Arguably, for instance, the PVTGs of the Andamans are more ‘developed’ in their attention to the environment than is mainstream society, which tends to privilege economy and society above all else. This might be one starting point for productive discussions about government policy. If the Andamans draws on past experience, and consults with PVTGs in a way that is both context sensitive and specific, it can move forward with adivasi policy in the Islands. The conference encouraged government to think about what it wants to achieve in these discussions. If it seeks a move towards ‘mainstreaming’ or ‘assimilation,’ then it must think about their practical effects and impacts. If it decides to isolate and to ‘protect,’ it must critically interrogate its motives for so doing. Above all, it must learn lessons from the past, take adivasi soundings from the present, and move towards a future of reconciliation. My wife, eldest daughter and I visited the islands in March this year as we had recently discovered that my Wife’s grandfather was a superintendent at the jail and that the family lived there and her father was born in the jail The family name was Baines. Francis knew some of my wife’s cousins and looked after very well during our visit. We have quite a few family photographs from those days. I will be very interested in your book please let me know when it will be available. If there is anything we can help you with please ask. My name is Rex Allen-Baines and my grandfather John Vernon (Allen) Baines was the superintendent of the circular jail. Please advise your wife’s maiden name (Baines?) as she will be my first cousin. I look forward to hearing from you, I can be reached at the email address below. I have sent you an email, which I do hope will help you with your family history research.